We just purchased 4 of these tables from Manning Cues. The complete transaction was smooth and very professional. I know Mr. Manning takes pride in his customer service and personally answers his phones. The delivery guys were very friendly, knowledgeable and professional. I give a 5 star review on the entire process from making the choice of purchase to the installation and the follow up. Keep up the great job Manning what a professional way to run business. 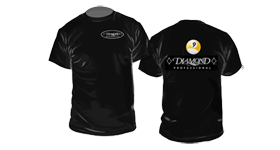 Advantages: Smooth transaction, communication was spot on and the overall experience was very professional. I wanted a Diamond Smart Table for many years and finally made the big investment. I should have done it years ago, the table plays great! I went through Manning cues, spoke directly with Heath Manning the owner. I had a few questions and he answered promptly and assured me everything would go smoothly which it did. The table was delivered 2 weeks early and all went well. 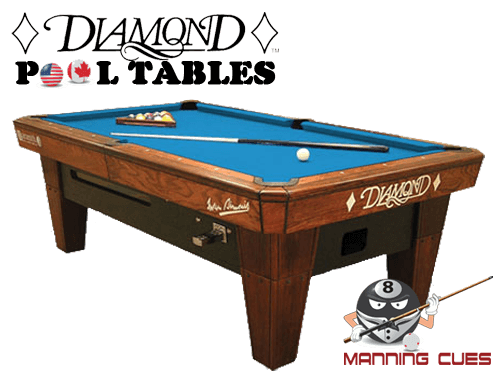 Anyone looking for a good experience buying a Diamond table owes it to themselves to speak to Manning. I highly recommend Heath. Thanks Manning! I purchased 2 Diamond Smart tables from Manning's Cue's for my bar. Heath is a very professional guy. I could not be happier with my tables. They are great. I would not hesitate to go through Manning's Cue's again if I would need to buy some more. Matter of fact I wouldn't buy them from anyone else. Heath is great to work with and takes care of you every step of the way.